Anyone with general knowledge of contemporary toys – or perhaps anyone with kids – is at least somewhat familiar with Lego Star Wars – the result of the merging of two brands that have become a pop culture phenomenon all of its own. It’s an association that has been going strong for nearly twenty years and barring an evil galactic Empire takeover, is guaranteed to continue to at least 2022. 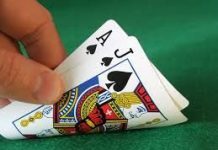 Unbelievably, it has grown beyond the medium of interlocking plastic shapes with a series of video games, TV shows, and even big-screen film productions based on the profitable partnership. How does a toy line develop a life of its own? Obviously it’s the consumers that make it successful. Even when there were no new Star Wars movies forthcoming after 2005, new Star Wars Legos continued to be produced. There are fans that appreciate the line more than the two individual properties (Lego or Star Wars) upon which it is based. 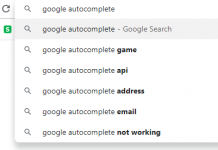 It stands alone. The hordes of overgrown middle-aged Star Wars collectors typically don’t collect Star Wars Legos in the same manner as they procure other related items, and the mostly younger folks who invest the time to build the playsets don’t typically have a closet full of carefully preserved vintage collectibles. 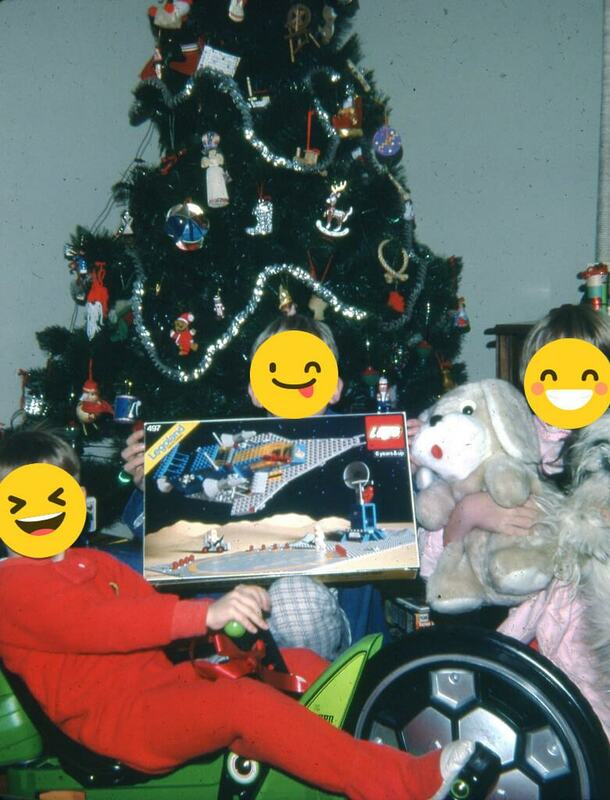 As a member of the former group, I was a nine year old in 1978 who lived and breathed Star Wars and had grown up to that point somewhat unimpressed with Legos. A crossover of a very elementary building block play toy with something that blew my mind would have been the last thing I would have wanted in that new age of flash. Lego toys were a mainstay to be found under American Christmas trees since 1961, predating Star Wars by sixteen years. When the sci-fi explosion caused by the hit film occurred, toy shelves were dominated by officially licensed products and, frankly, any other sort of Sci-Fi knockoff. That’s how fierce the need was to accommodate the demand for anything remotely related to the blockbuster. Eventually, Lego had no choice but to get caught up in the trend and for the first time in their history released their own space-themed set, in 1979. But the classic toymaker only made itself appear out of touch by introducing buildable space wares that had more in common with the traditional rocketship-style Sci-Fi established in the 1950’s and 60’s, and not at all reflective of the sleek new look Star Wars brought to the genre. And as a kid enjoying all things hyper-modern in the late 70’s, this attempt by Lego to enter the game still offered nothing to pique interest. Interestingly, it wasn’t until 1987, four years after Star Wars’ indefinite hiatus began with the end of Return of the Jedi’s run, did Lego release a line under their now-established ‘Space’ banner that finally appeared to have a lot more in common with the Trilogy. It was slicker than its humdrum predecessors and, indeed, a star war was implied. 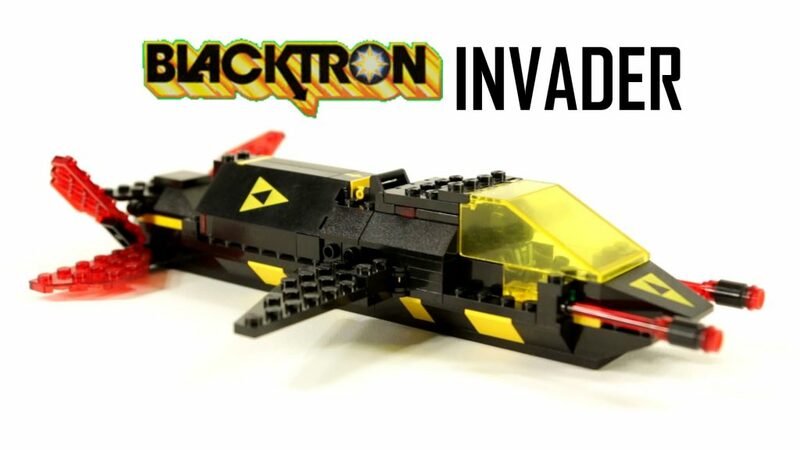 Presumed versions of the classic warring factions – the Rebellion and the Empire – were called the “Futurons” (the good guys) and “Blacktrons” (baddies that resembled Darth Vader). This new line was a relative hit and has continued on since. 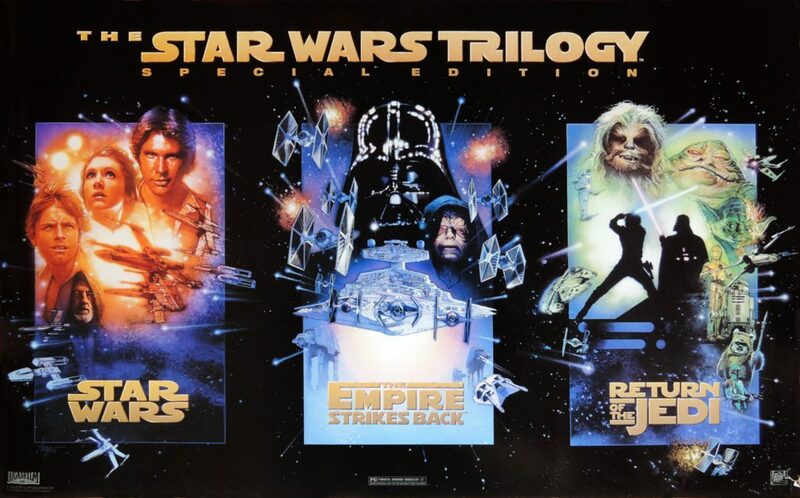 In the mid-90’s the theatrical re-release of the Star wars trilogy confirmed that an appetite for the franchise had developed and was ready to be fed. New action figures flew off the shelves. 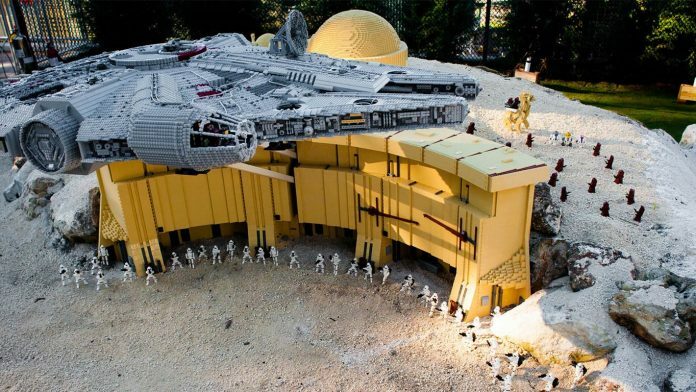 But it wasn’t until the announcement of an all-new Star Wars movie that Lego finally decided to put in their bid as a potential licensee. And though 1999’s The Phantom Menace disappointed a legion of fans – many profoundly – the Lego sets sold well. In the first year of production, the company had the good sense to introduce some classic original trilogy-based playsets that arguably outsold the newer prequel based products. At the start of the new century, Lego took a bold move forward with the line, introducing The Ultimate Collectors Series that featured larger sets and more intricate designs. Starting with the classic ships, an X-Wing and TIE Interceptor, the series when on to become extremely ambitious, with giant Death Star, Millennium Falcon and AT-AT playsets among many others. Equally inspired was the retail price of these sets, with 2008’s Death Star costing $399.99 or the smaller scale of 2018’s T-Wing listing at $199.99 – these definitely are not my generation’s Star Wars toys! 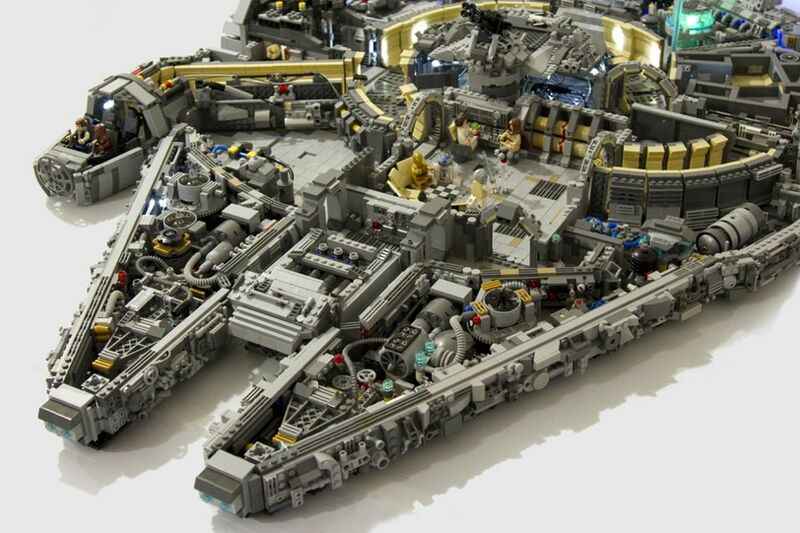 Lego’s success with the Star Wars universe was so great, there have been no less than seven versions of the Millennium Falcon released since 2000. In fact, the largest playset that Lego has ever produced is an offering of the famous Corellian ship comprised of a whopping 5,195 pieces. Indeed, Star Wars and Lego are now forever linked. 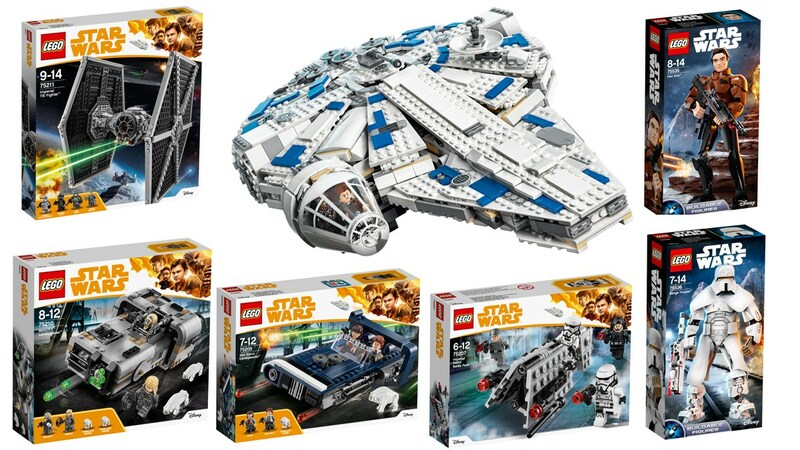 Playsets are already being released to tie in with the new Han Solo movie and the Lego line continues to be popular with is firmly established fan base. Perhaps only in regard to the line’s popularity with young people, I believe that I’m fortunate not to have kids. Honestly, I wouldn’t be able to afford to provide them with much if their passion was Lego Star Wars. It’s like Disneyland, exclusive only to those that can manage the out-of-this-world (pun intended) prices. And although I see my friend’s kids loving the heck out of the Lego sets, I still don’t get the appeal. They just don’t pull on those nostalgia heart strings that are so easily manipulated. 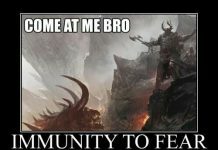 Basically, I don’t like their pixelated look. 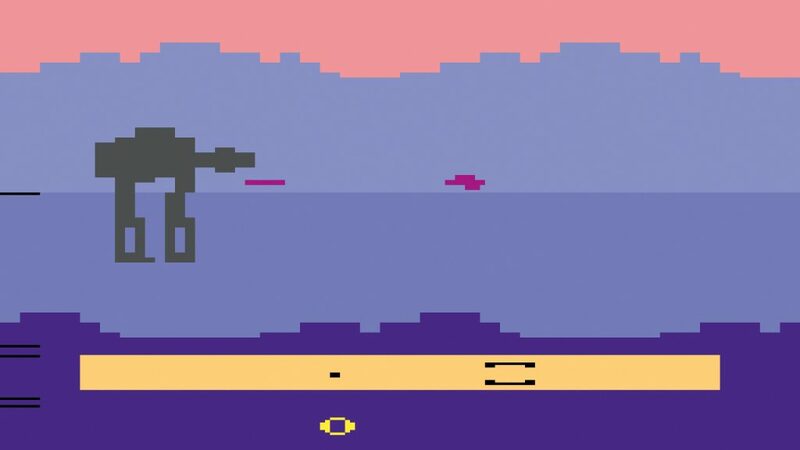 My love for block graphics is limited to the Atari 2600. When it comes to building something Star Wars-related give me the old MPC model kits, at least they appear screen accurate and less cartoony. And for display or playtime, it’s the original line of figures and playsets by Kenner for me. Besides, the lower price point of the franchises older counterparts ensured that our parents got a lot more for their buck when it came time to put stuff under the tree each year. It’s interesting to note that you can buy a vintage 1978 Kenner Death Star Space Station in excellent condition for less than a 2008 Lego Death Star! 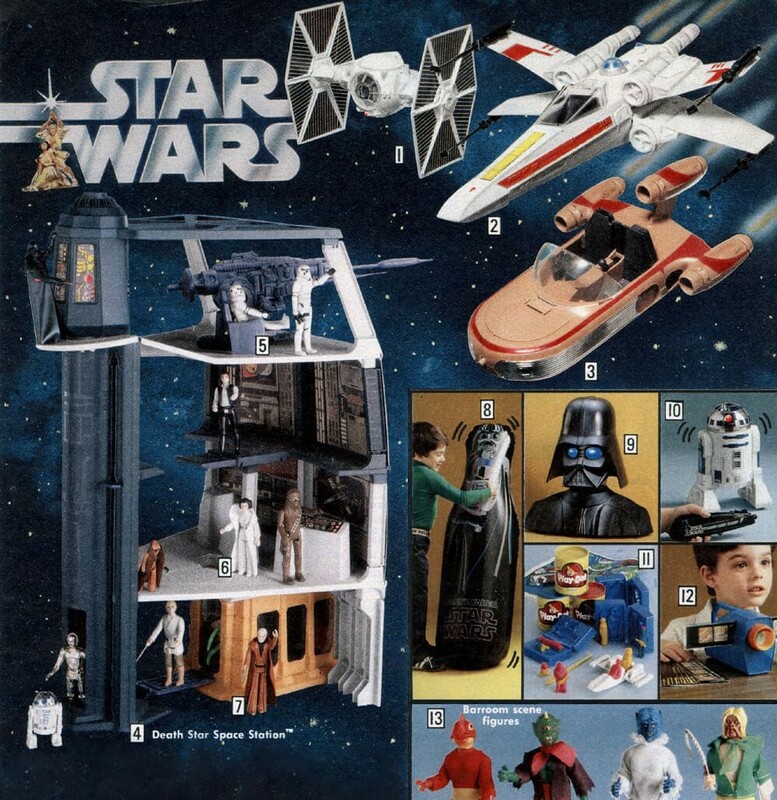 A 1978 toy catalog page featuring Star Wars (+ knock-offs). Each generation is different. I can’t help but believe that when the millions of toys hoarded by fans currently averaging around fifty years old start getting released into the wild with a certain consistently in twenty to thirty years, it’s the Lego’s that will still maintain their collectible value (for another decade or two). That is, of course, unless we all choose to be buried with our Star Wars collections. After all, will our Force ghosts be bored otherwise?